It was 1962. Dean Bontrager and Jay Wilbeck wanted to go drag racing, but they didn’t want to do it like everybody else. They could have gone the way of a “factory-produced” muscle car or even picked up a nice little Ford coupe or roadster to go haul the mail. But… they wanted to do something different and the Bontrager-Wilbeck Drag Special was born, using the ingenuity, hard earned cash and long hours of both Dean and Jay. They were going racing and this was going to be their “steed of choice”. Both racers knew going lightweight was going to be key, along with some big time horsepower. 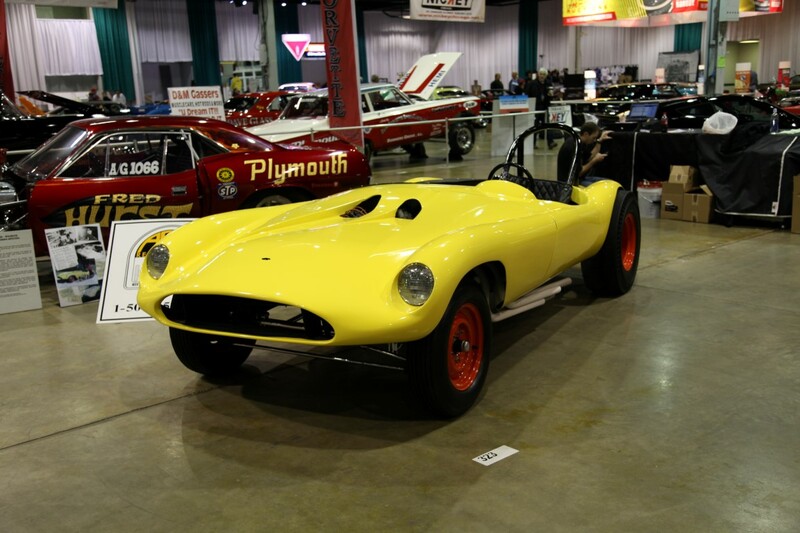 They chose a 1959 Devin SS, a lightweight body produced by Devin Cars, a company founded by Bill Devin, who specialized in various racing cars and fiberglass kit cars in the 1950s and 1960s. 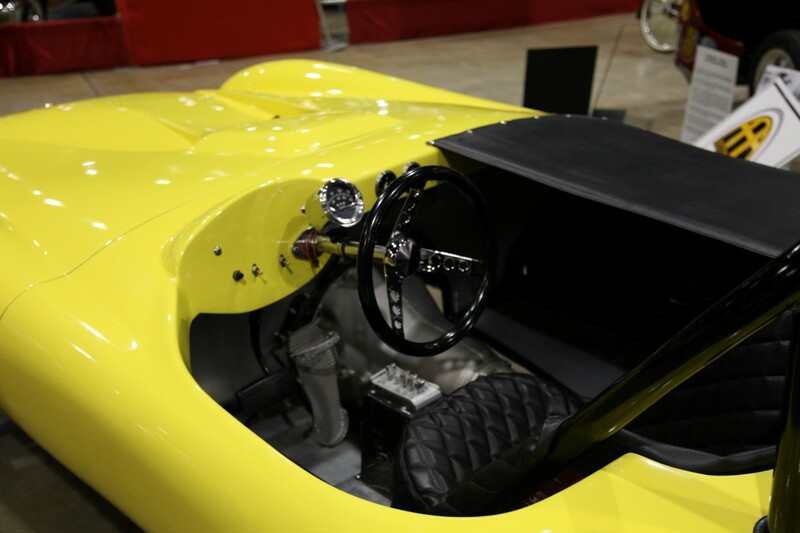 Devin built a car that had the style, sophistication, and performance of a Ferrari but sold for a lot less. Ferraris demanded a high price due to pedigree, but Devin decided to exploit the market and offer a nearly identical vehicle at an affordable price. For Bontrager-Wilburn, this was perfect. The body was widened to fit over a ladder chassis they fabricated themselves and contained the drivetrain of this beast…a 426 Max Wedge and Torque Flite transmission. At 1800 pounds, this terror was able to lay down consistent 11 second times at over 120 miles per hour. Simple. Straightforward. Ready to race. The two typically flipped a coin to see who would drive at any given race, but their efforts got put on hold when Dean got drafted into the Army and Jay joined his family’s business. The car was bought and sold several times over the years until Clark and Collene Rand of Fair Grove, Missouri managed to get hold of it and deliver it to Adam Engelhart of AAA Restoration in Adams, Minnesota. A two year effort ensued which has brought it back to racing form. 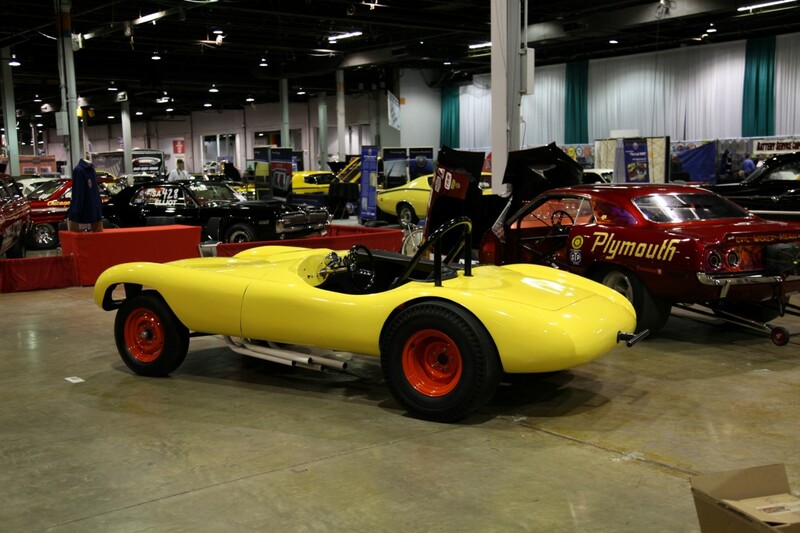 The Devin Drag Special was on display at the recent 2013 Muscle Car and Corvette Nationals event in Rosemont, Illinois. At 1800 pounds and packing 426 Max Wedge power, this lightweight could easily turn 11s at 120 MPH and did it consistently.